The second half of the 16th century must have been a frustrating time for religious fundamentalists. As the shakers and movers of the English Reformation, they might have expected things to continue their way; but the early death of the boy-King Edward VI put an end to their hopes of a puritan theocracy. The Elizabethan Settlement of the Church of England which followed the brief, unhappy reign of his big sister Mary was meant to pacify the disgruntled factions within the new Church, as well as criminalising those elements, Catholic and Puritan, that aimed to stay out of it. This seemed to work well enough while the low church theologians were in the ascendant, but the coming of the Stuart monarchs and a switch to the high church theology of Archbishop Laud broke the church apart. Those Puritans who had tolerated mild Anglican tendencies towards ritualism now found themselves marginalised, especially in Norfolk where Bishop Wren was an enthusiastic Laudian. As a result, some Anglican leaders went off to the Continent in a huff, only to return later in the century after Laud had gone to the scaffold, either during the Commonwealth or after the coup that deposed the Catholic James II and put arch-protestant William III in his place. Their support for the new regime encouraged William to introduce the Act of Toleration in 1689, which finally legalised protestant congregations of all shades and colours, but not Catholic ones. 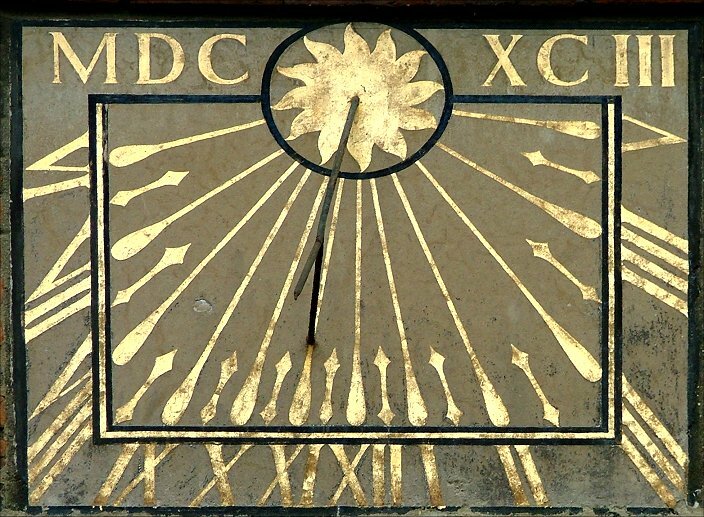 Thus was the early modern religious character of England set in place. One of those 17th century exiles in the Netherlands was a man called William Bridge. As Rector of St Peter Hungate and St George Tombland he had resisted the rising Laudian tide of sacramentalism, and Laud's command that altars be put back in the chancels and then railed in was the last straw. Bridge and his followers fled to Rotterdam, joining an Independent English church there, of which there were several. 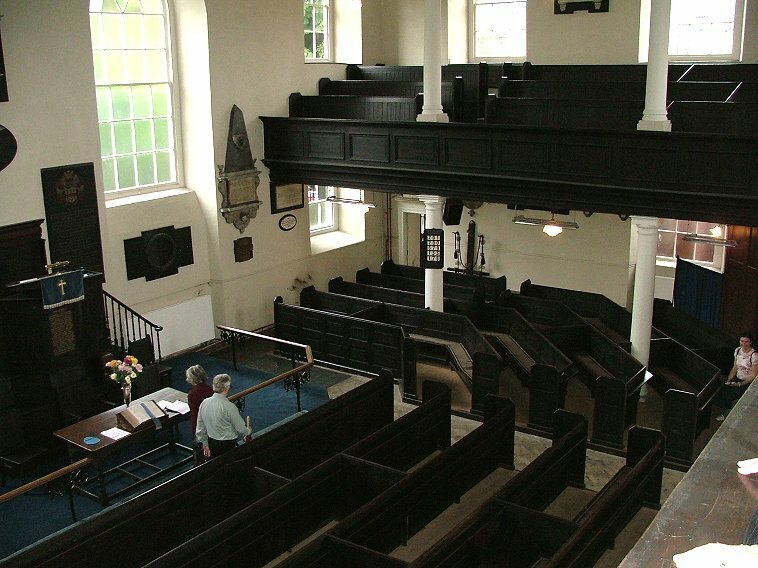 Once heads had rolled, the congregation returned in 1642 , first to Great Yarmouth and then to Norwich, where they met in private houses and halls. 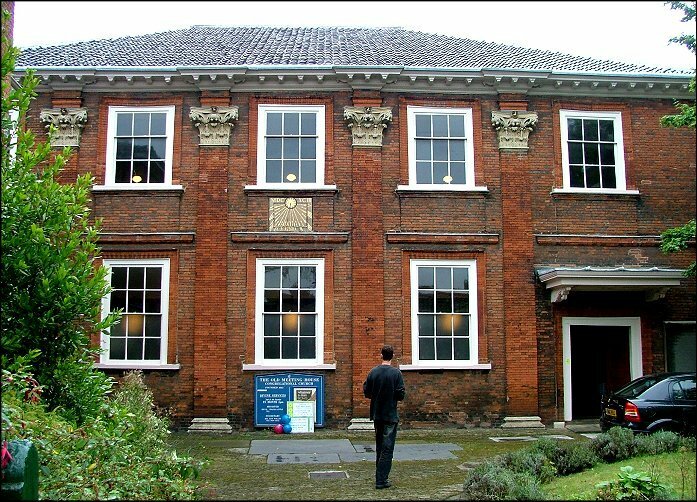 Once the Act of Toleration had been passed, they could set about building a home of their own; and so it was that in 1693 they built their meeting house in Norwich, where it still survives today, in use for the same purpose, one of the oldest non-conformist places of worship in England. 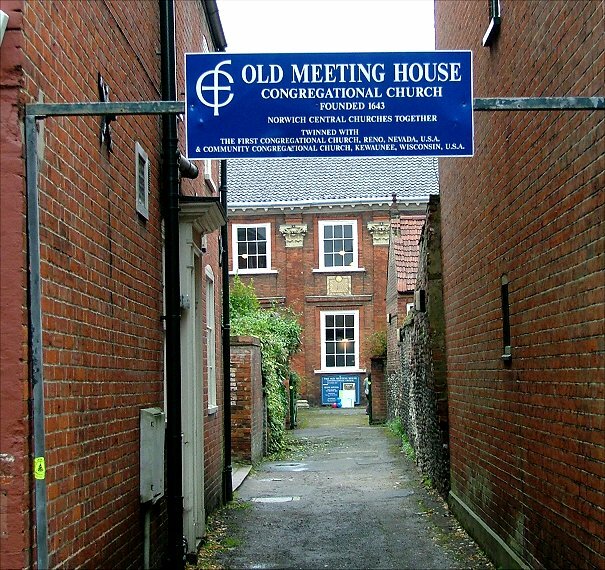 The Meeting House stands in Colegate, from which it is set back. In the late 17th and early 18th centuries, Colegate was still a fashionable area, but it was soon to be taken over by the industry approaching from both the Coslany and Magdalen Street ends. 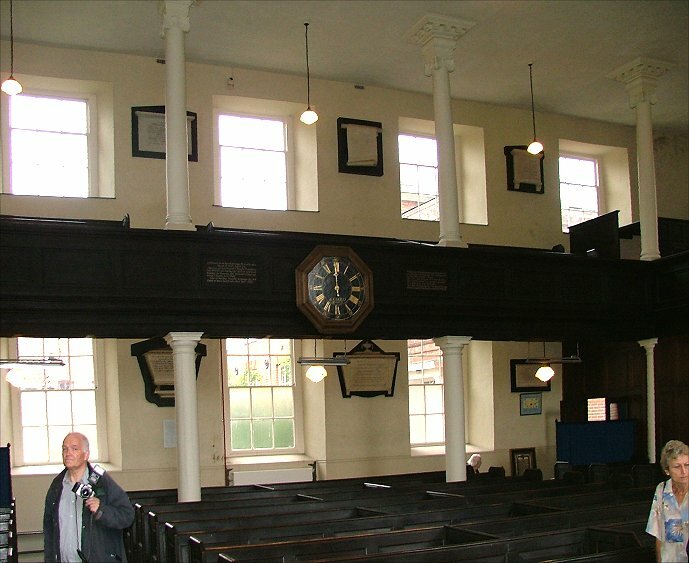 In these early days, the Church of England still failed to perceive non-conformism as a threat - it would be the unleashing of Methodism that would make the attraction of the chapels for the poor man plain - and the congregation here seems to have established itself without too much trauma. 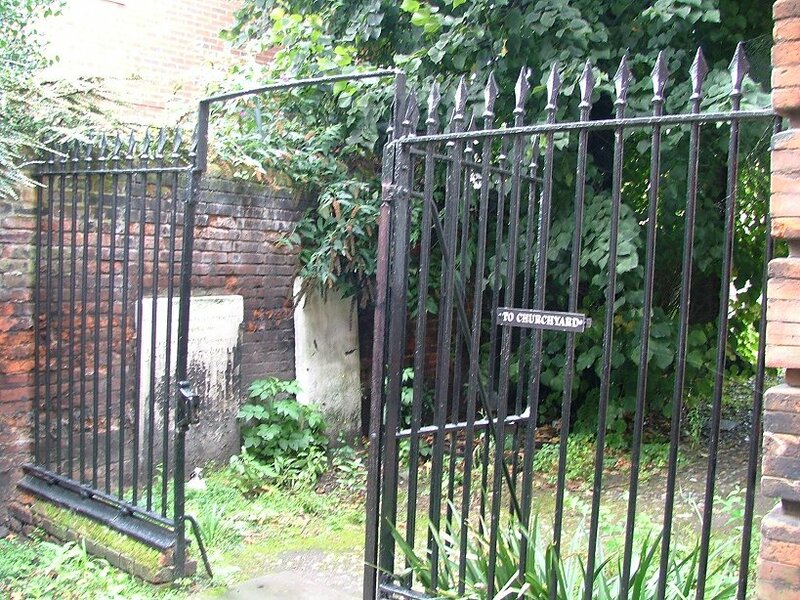 They attracted both locals and a number of continental protestants who had arrived in Norwich as refugees from France and Flanders; they had their own French language church at St Mary Less, but as they assimilated they tended to drift across the river. The building has a red brick frontage, five bays long, doorways taking the place of the outer windows on the ground floor. These would allow men and women to enter the building separately. 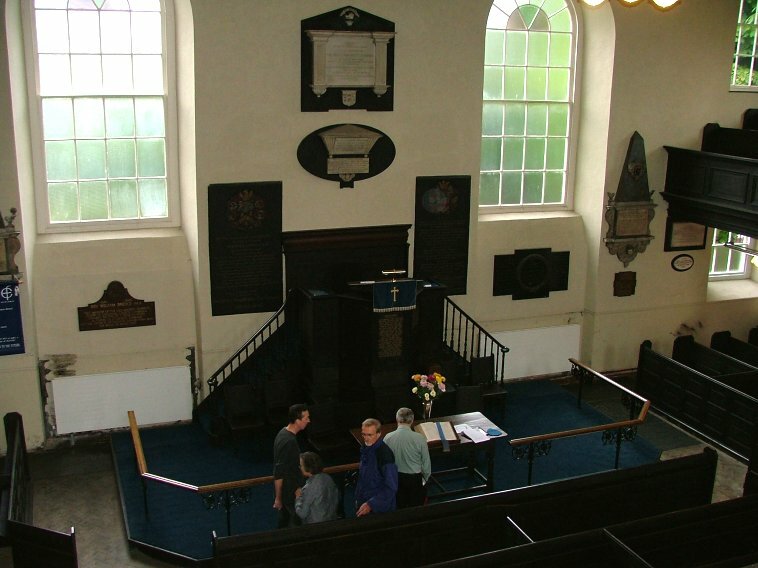 The arrangement is similar to that of the Unitarian chapel in Ipswich, which began life in almost exactly the same way and is from the same decade. These early congregations thought of their buildings as Synagogues, and kept strictly to Biblical forms of worship. 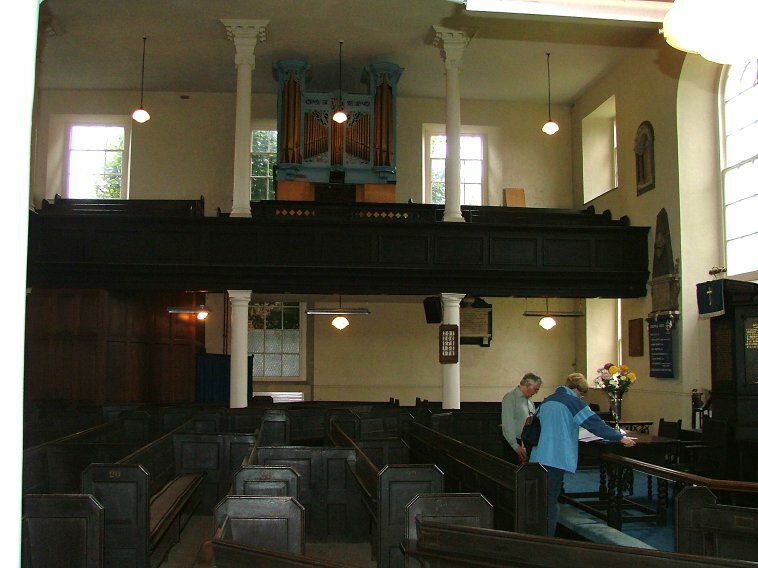 Internally, the layout is like that of Ipswich and Walpole chapels, augmented over time as the prosperity of the congregation increased, but essentially consisting of box pews focused inwards on the pulpit against the long wall away from the entrances. This arrangement is echoed in the balconies, which are accessed from one corner. 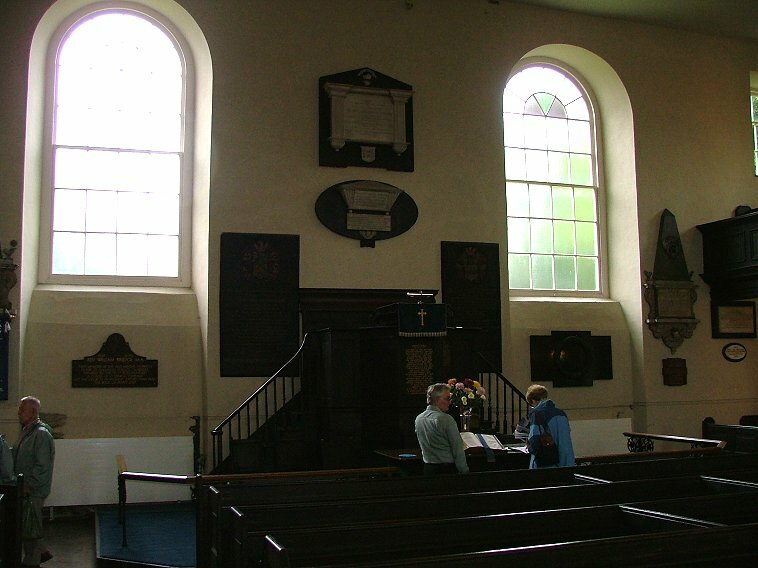 Memorial stones of significant members of the congregation are displayed on the wall; the forecourt was originally the graveyard. Famous names include John Jarrold, founder of the Norwich printing and publishing firm. 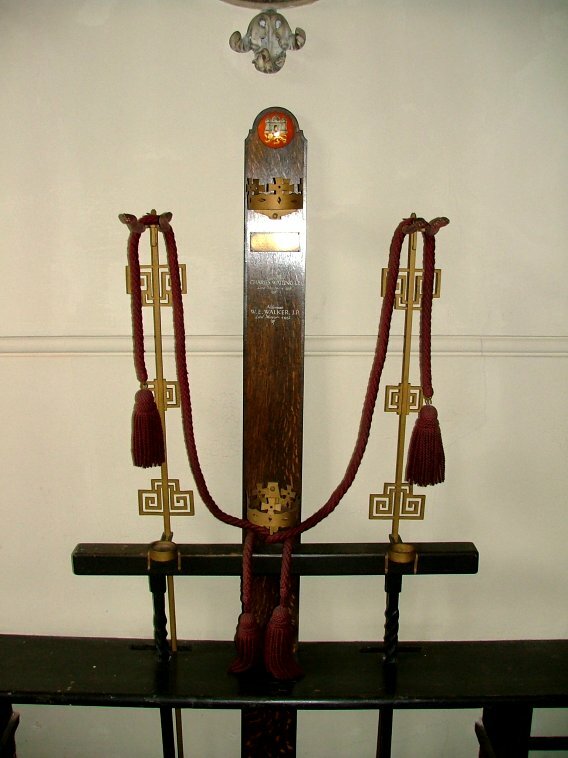 A mayoral sword and mace stand reminds us of the acceptance of the congregation here into mainstream civic life. 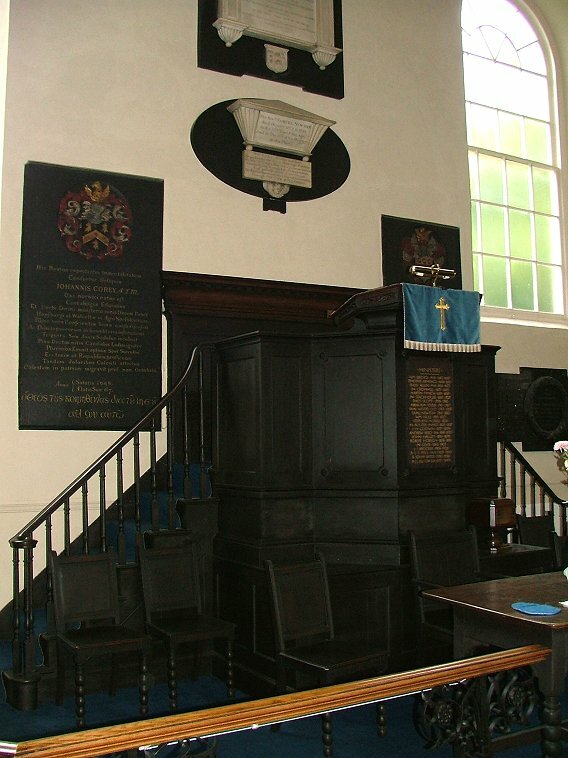 Unlike its Ipswich equivalent, this meeting house has retained its congregationalist theology into the 21st century. There are still services, and the beautiful building is now in the care of the City.